Dr. Vassiliou is an Assistant Professor at the Computer Science Department of the University of Cyprus and the co-Director of the Networks Research Laboratory. He is also a co-founder of UBINEC Ltd, an innovative start-up company developing powerful, yet easy-to-use solutions to manage Smart Networked Environments. UBINEC’s core business is related to the Internet of Things (IoT), smart homes, smart energy systems and energy data analytics, among others. 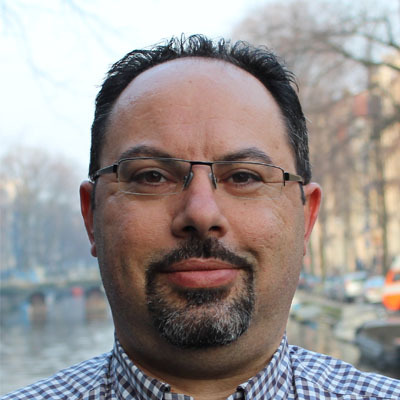 Dr. Vassiliou’s current research work is in the Internet of Things domain, where he and his team work on Security, Mobility, Traffic Congestion and Flow-control, and Data Management issues. He applies these to the Smart Home and Smart City context. He did undergraduate studies at the Higher Technical Institute (HND Electrical Engineering, 1993) and the University of South Florida (B.Sc. in Electrical Engineering, 1997), and graduate studies with a partial CASP scholarship from the Cyprus Fulbright Commission at the Georgia Institute of Technology (M.Sc., 1999 and Ph.D., 2002 in Electrical and Computer Engineering). He is a member of IEEE, ACM, IET. He is the Chair of the IEEE ComSoc Cyprus Chapter, and the Academic Advocate for the ISACA Cyprus Chapter.